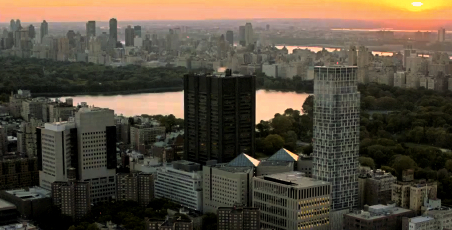 The Faith Laboratory is in the Icahn School of Medicine at Mount Sinai in the new Hess Center for Science and Medicine on Madison Avenue in the Upper East Side of Manhattan. Take the local 6 train to 96th street. Walk east to Madison Ave. Walk north to 1470 Madison Ave (near 101st St). The M96 and M1, M2, M3, and M4 buses also stop nearby. La Guardia, JFK, and Newark all serve the NYC Metropolitan area. Ranked from most convenient to least: LGA, JFK, EWR. Amtrak and numerous commuter trains arrive in Manhattan throughout the day. Take the subway or a taxi from Grand Central Station or Penn Station. Leave your car at home unless you know your way around the city and where to park.